The massive amount of sales made online this past weekend means the US shopping trend is here to stay. A significant number of South Africans preferred to shop from home during the Black Friday and Cyber Monday sales that took place this past weekend. The sales are traditionally on the Friday and Monday after Thanksgiving in the US. However, the trend has been embraced globally in recent years and is regarded as the start of the festive shopping season. Takealot and Superbalist both experienced more traffic than they had initially projected. Superbalist marketing manager, Klyne Maharaj, says the company is still waiting for final numbers but from what they have in hand the day was a major success. Last year Superbalist saw over 100% growth on Black Friday. Comparatively, Takealot saw a 260% year-on-year increase in Black Friday orders last year. Julie-Anne Walsh, Takealot CMO predicts the past weekend sales will prove to be the most successful in the history of the company. "We've seen a phenomenal increase on our seasonal average, as we expected and planned for as far as possible. Having experienced 227% increase in traffic last year, we worked incredibly hard to plan for up to five times the usual traffic," says Walsh. She says traffic to the site built hourly from 12am on Friday. At peak times the site had more than 300% its usual traffic on a Friday in the festive season. Takealot has seen demand for the sale day grow over the last four years from customers and retailers alike. The fastest sellers on Takealot were gaming consoles, gifting products (toys, books and beauty) and tech devices like hard drives and fitness trackers. Xbox, Garmin, PS4 and Kindle with speakers, SSD cards, headphones, tablets were amongst the most searched for items, says Walsh. Interestingly, kettles were also very popular items. Maharaj says from the outset there was more buy-in from retailers locally than he has ever seen before. "Everyone from travel to bricks-retail and e-commerce participated this year. Because of this, Black Friday has become increasingly competitive. "Takealot.com was the first South African brand to participate in Black Friday in 2012, and since then we've seen a burgeoning interest in the day from both brands and consumers. Part of this growing trend is the knock-on effect Takealot.com set in motion: if one or a group of brands participate in Black Friday, it makes it difficult for others to refrain," says Maharaj. 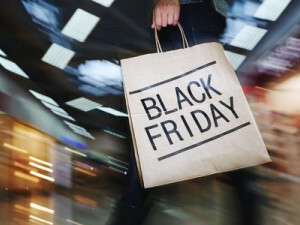 Maharaj says the great thing about Black Friday is: "It stress-tests every aspect of the business: from our engineering team managing extraordinarily high traffic loads and unexpected technical challenges, to our call centres fielding thousands of queries in a single day, to our warehouse and logistics teams having to then fulfil those orders." Superbalist experienced zero down-time thanks to preparation by its engineering team. Takealot however, had some down-time when customers could not log onto the site or had problems checking out. Walsh says Takealot has seen double digit growth in their active customer base over the last year, as well as growth in average basket value, average basket size and average orders per customer. Maharaj says Superbalist is seeing growth in local e-commerce despite fairly bleak macroeconomic conditions. "Having said that, there are a number of barriers brands need to overcome in order to make online shopping truly accessible to the average South African and entrench the behaviour further. "It seems there's less of an aversion to online shopping and more of a sense of unfamiliarity, and once brands collectively show consumers that it really is the safest, simplest and often most affordable way to shop, we expect that sense of comfort and normalcy to grow," says Maharaj.